Car Leasing Queens is altering and dominating the auto leasing industry with our revolutionary online leasing system! 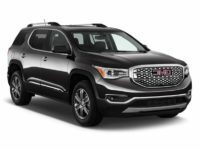 It’s never been easier to get the GMC lease you’ve always wanted, and with such low monthly rates there’s no reason for you to wait any longer! If you’re new to the leasing game, or experienced in its ways, if you’re looking to end a bad lease or to trade up to a better automobile, we are here for you! When it comes to monthly rates on autos, Car Leasing Queens is simply better than the others, boasting prices that other agencies could never match! 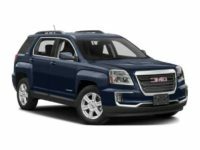 And as far as selection is concerned, we’ve got the widest variety of autos in NY — including the classic Yukon SUV, Terrain SUV and Sierra 3500HD Regular cab! We have other leasing agents beaten from every angle — convenience, selection, monthly rates, financing terms, you name it! We’re just better, plain and simple. 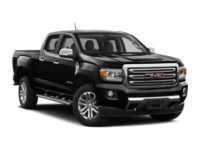 Check out the GMC auto leasing deals that are waiting for you by visiting our inventory page online, or give us a call directly at 347-732-2203 right now! You won’t regret working with us to help you find you the perfect lease! 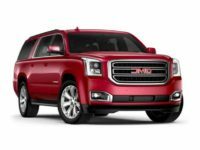 How does Car Leasing Queens able to offer such incredibly low monthly rates on GMC and other makes of automobile? The answer is our all-electronic auto leasing process. It allows us to reduce overhead costs in ways that are totally impossible for brick-and-mortar agencies! It starts with the premises: where other lessors have to rent or outright purchase a large tract of land on which to build their showroom and car lot. We sidestepped the whole idea of physical premises: no lot, no showroom, and no offices! All of our business is handled through our website, which means that we save tons of money that isn’t being spent on rent, upkeep of the grounds, or security to protect the cars from thieves and vandals! The best part is that those savings get passed on to you, out customer. 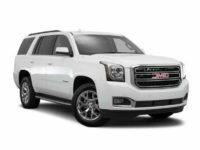 Then there’s the cars themselves — other leasing agents have to purchase a large fleet of vehicles to populate their car lot with a respectable selection of cars, and upgrade them annually as each new model year comes out. This cost is probably the single largest contributor to agencies’ excessive overhead costs, and is one that Car Leasing Queens manages to dodge completely! Rather than maintain a fleet of automobiles that we own, we leverage the strong relationships that we’ve built up with other dealers throughout NY to offer the vehicles on their lots as our own inventory! 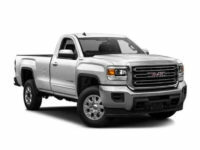 This means that we’ve got essentially every model of GMC you could want — the Canyon Crew Cab, Savana Cargo or Arcadia SUV , and our selection doesn’t cost us or you a dime! That means you pay far less each month for your lease than you would anywhere else! Check out the rates posted in our online showroom, or give us a call today to get started with your new auto lease!